Medical Officers at the Plymouth County Correctional Facility are licensed RNs and LPNs that provide routine and emergency health care to male inmate patients in accordance with established policies, procedures and protocols of the Plymouth County Correctional Facility. • Prepares and distributes medication for the inmate population. 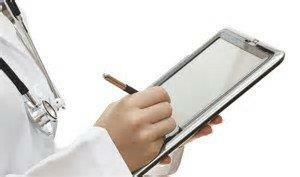 • Performs medical intakes, medical history and required diagnostic tests on new commitments. • Takes inventories of medications, first-aid kits and other supplies. • Updates inmate files, medication records and physician files as needed. • Schedules outside medical appointments as required. • Responds to medical emergencies and accompanies such cases to the hospital when needed. • Delivers medication to Administrative Segregation and Protective Custody inmates. • Maintains and updates daily log of shift activities. • Assists physician with sick calls and conducts medical treatments as directed by the physician. • Administers medical attention to employees in the event of an industrial accident or emergency. License required as an R.N. or L.P.N.